Lubrita Engine Oil Recommendations for BMW cars. Technical release of BMW Longlife engine oils. Below Lubrita present an overview of the BMW oil specifications and the tests to be conducted within the framework of the release procedure. The engines, tests, vehicles and engine-vehicle combinations listed as required. For differentiation purposes, the oil specifications are designated according to the first year of application as "BMW Longlife-01, -01 FE" (2001), "BMW Longlife-04" (2004), "BMW Longlife-12 FE" (2012) and "BMW Longlife-14 FE+" (2014). The categories "BMW Longlife-01", "BMW Longlife-01 FE" and "BMW Longlife-14 FE+" as well as "BMW Longlife-04" and "BMW Longlife-12 FE", are qualitatively comparable, but nevertheless differ with regard to minimum viscosity at high oil temperatures (HTHS viscosity). BMW Longlife-01 / -01 FE / -14 FE+ oils are only suitable for gasoline engines, while BMW Longlife-04 / -12 FE oils are suitable for diesel engines due to the reduced sulphate ash content. In addition to the existing oil specifications "BMW Longlife-01, -01 FE" (2001) and "BMW Longlife-04", the new oil specifications will be introduced with the designations "BMW Longlife-12 FE" and "BMW Longlife-14 FE+". BMW N52 engines will no longer be used for test purposes and will be replaced by BMW N20 engines in the future. and for BMW diesel engines without particle filters from model year 2003. • All older BMW engines can use this quality. • To avoid customer irritation, no product names containing the designation "diesel" are permitted. • For BMW M GmbH engines, this quality is only permitted in new, designated models with S55 or S63 engines. • Due to the low HTHS viscosity in comparison to the BMW Longlife-01 specification, these oils may only be used for the BMW gasoline engines released for this oil. At present, these include all current gasoline engines (N1x, N2x, N4x, N63, N74). • These oils are permitted for all BMW diesel engines with or without particle filters. EU area together with Norway, Switzerland and Liechtenstein. • For BMW M GmbH engines, this quality is only permitted in new, designated models with S55 or S63 engines in the EU area together with Norway, Switzerland and Liechtenstein. • Due to the reduced HTHS viscosity in comparison to the BMW Longlife-04 specification, these oils may only be used for the BMW diesel and gasoline engines released for this oil. • These oils are suitable for new BMW diesel engines from model year 2013, although only for specially released engines in accordance with the release list. Essentially, the Nx7K1, Nx7U1 and Nx7O1 engines have been released at present. This quality is generally not permitted for engines with 2 or 3 exhaust turbochargers. • Due to the low HTHS viscosity of 2.6 mPa・s, these oils may only be used in BMW gasoline engines released for them. • These oils are only suitable for new N20 and Bx8 gasoline engines from model year 2014. • At present, the type approval is limited to the EU area together with Norway, Switzerland and Liechtenstein as well as the US market. • This quality is not permitted for BMW M GmbH engines. 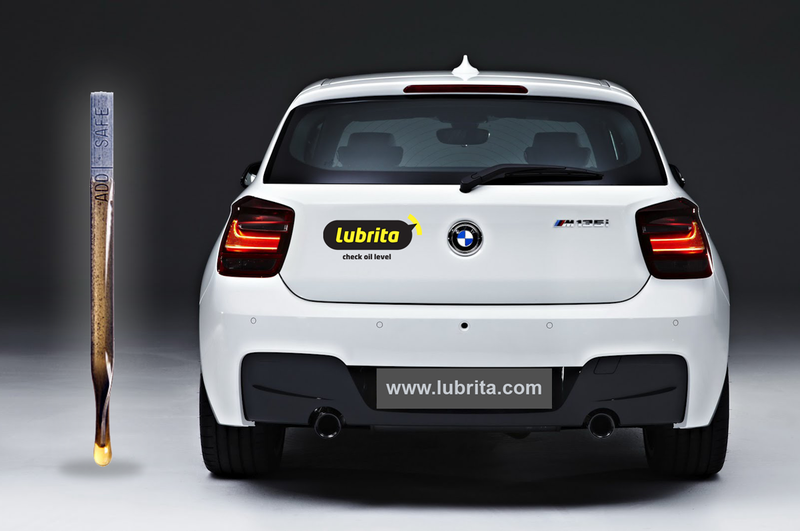 BMW and the right Lubrita oils for your vehicle. - Use Your vehicle user manual and follow manufacturer recommendations.